Written by Anne Stewart O’Donnell, with a foreword by Joseph A. Taylor. Hardcover smyth-sewn casebound book, with jacket. 112 pages with more than 120 full-color reproductions of tiles, murals, and installations. Spurred on by the marketplace and welcomed by architects and designers seeking to personalize their creations, hundreds of studio tile artists and makers are successfully producing tile today throughout the United States. 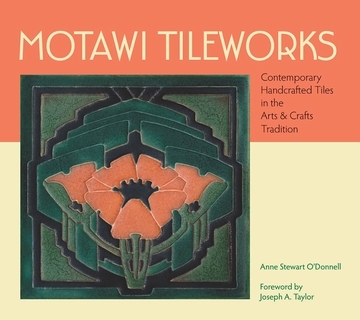 Among the most revered of these is Motawi Tileworks of Ann Arbor, Michigan, founded by Nawal Motawi and her brother Karim in 1992. Today Motawi Tileworks, under their combined leadership, occupies a spacious studio in a natural setting west of town, where thirty people are employed. Far more than a prosperous and expanding enterprise, Motawi has become a symbol of artistic sensibility and success in the tile industry. The key to Motawi’s astounding progress lies in part in Nawal’s artistic achievement—a blend of original art inspired and flavored by her interpretation of historic precedents. The result in her finished work reflects the past while being well suited to contemporary taste. The combination of color and design is striking and distinctly Motawi, clearly recognized as such throughout the country. In museum shops, high-end gift stores, and tile showrooms from coast to coast, Motawi stands out for both the quality of the design and the exquisite workmanship. Anne Stewart O‘Donnell received an MA in the history of decorative arts from the program jointly offered by Parsons The New School for Design, The Smithsonian Associates, and Cooper-Hewitt, National Design Museum. 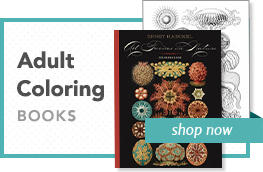 Former editor in chief of Style 1900 magazine, O‘Donnell has researched and written extensively on the Arts and Crafts movement in the United States and abroad. She is the author of C. F. A. Voysey: Architect, Designer, Individualist.